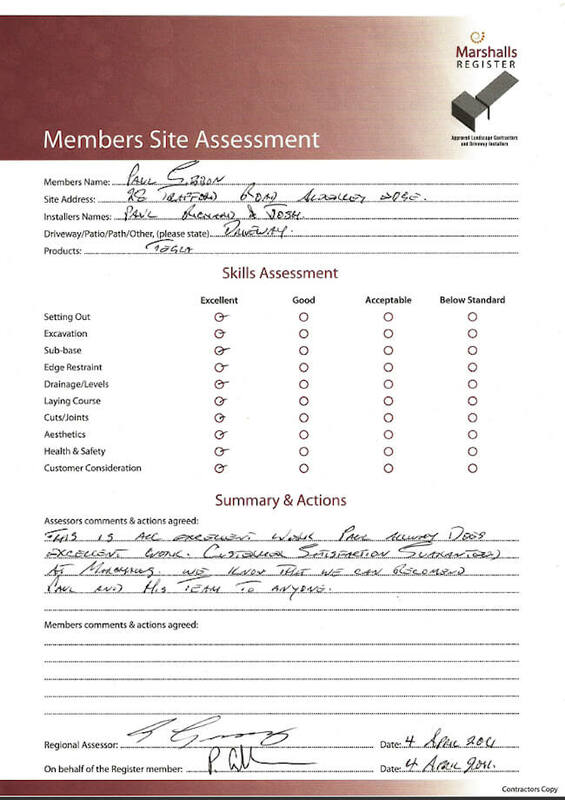 We are members of a nationwide approved landscape contractor scheme. The Marshalls Register of Approved Landscape Contractors and Driveway Installers. This company is the main paving manufacturer in the UK (their product brochure can be found in most builders merchants) and they set up their scheme many years ago to raise industry standards and reduce the risk of poor workmanship by a ‘cowboy’. 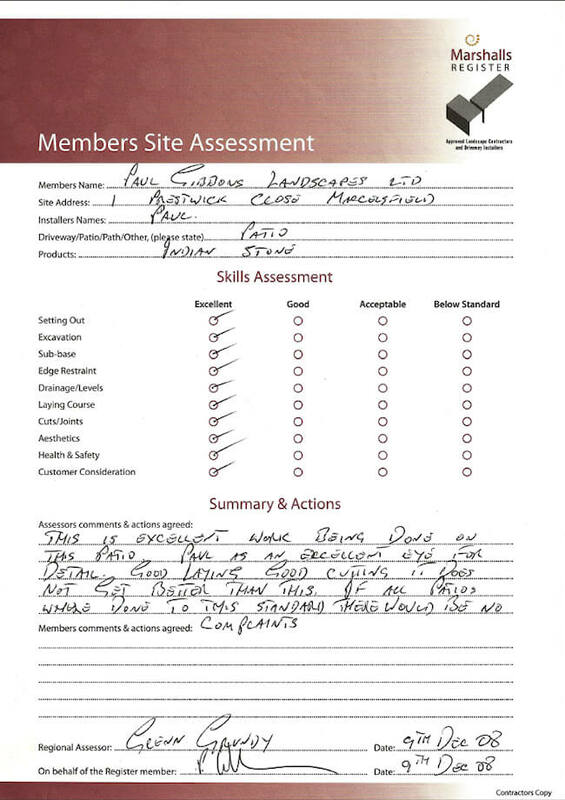 We are not employed by them but we agree to abide by their own installation guidelines and the scheme are closely monitored by their Assessors to ensure that their product is correctly installed. 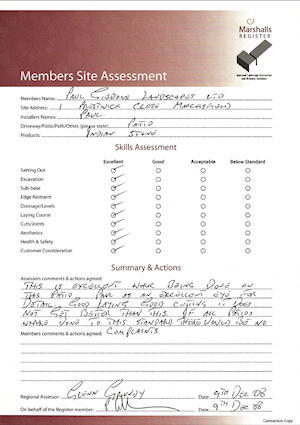 This maintains high standards so you can enjoy peace of mind when chosing your landscape contractor and be sure of higher levels of skill, support, service and professionalism. The company can provide you with a list of approved contractors in your area which will include ourselves. As an Approved Contractor we benefit from the latest technical, training and service support which ensures we are briefed on the latest standards and products by holding seminars and conferences throughout the year to keep us updated. 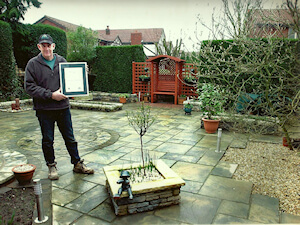 In 2004 we had the pleasure of being awarded the nationwide winner of TopPave Patio of the Year 2003. A prestigous award and one we are proud of. (see our Awards page). They give advice on how to spot a ‘cowboy’. If they come knocking because they happen to be in the area – be wary. Genuine Marshalls Register Installers will never cold call. If they say they can start tomorrow – be wary. Reputable installers are in demand and may require several weeks notice. Never accept a verbal quotation – quotations should always be on letterheaded paper with an address and landline telephone number, not just a mobile number. If you accept the quotation, request written confirmation. A cowboy will be reluctant to do this but a written contract is essential.